Elsie Rose Young “Cookie”, age 75, went to be with the Lord on March 31, 2019. She was a woman of strong faith and passed away peacefully with her family by her side. She is was welcomed into Heaven by her husband of more than 50 years, Don Gray Young; parents, William Bayfield Hopgood, Sr and Edna Yates Hopgood; parents-in-law, K. C. and Bessie B. Young. 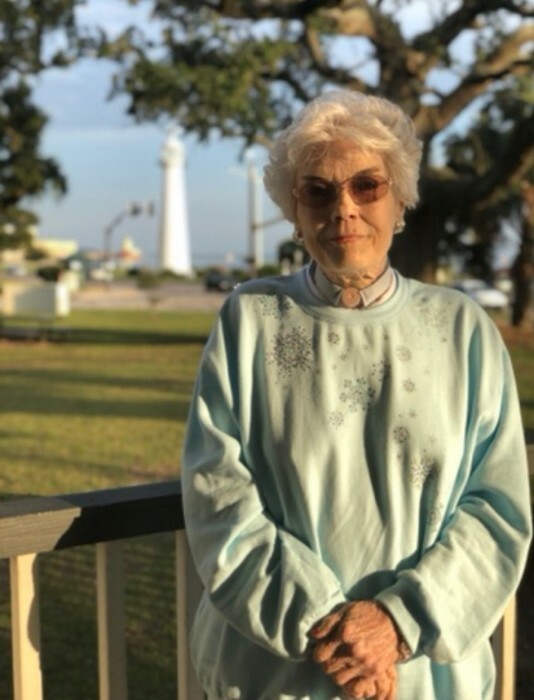 Those left to cherish her memory include her daughter, Holly Young Cowan of Pascagoula, MS, son, Don (Glynis “Jo”) Young, Jr. of Vancleave, MS, son Lake C. Young of TX, daughter, Shelli M. (Shane) Parker of Wade, MS; 11 grandchildren, Patrick, Lindsey, Jenny, Cody, Aaron, Tollie, Ali, Lake, Hannah, Kristi and Jeremy; 4 great-grandchildren, Brendan, Zoey, Krista and Cameron; numerous other relatives and dear friends. The Visitation for Ms. Elsie Rose Young will be Tuesday, April 2, 2019 at Wade Baptist Church from 10:00 AM until 12:00 PM. The Funeral Service will begin at 12:00 PM in the church sanctuary with Bro. Brandon Rogers, good friend William Goff and life-long friend Debbie Gill officiating. Ms. Young will be laid to rest next to her husband in Agricola Cemetery.